Yoani Sánchez – a star among the non-governmental bloggers – and others are sharp critics of the lack of political freedoms and proponents of radical but peaceful change. 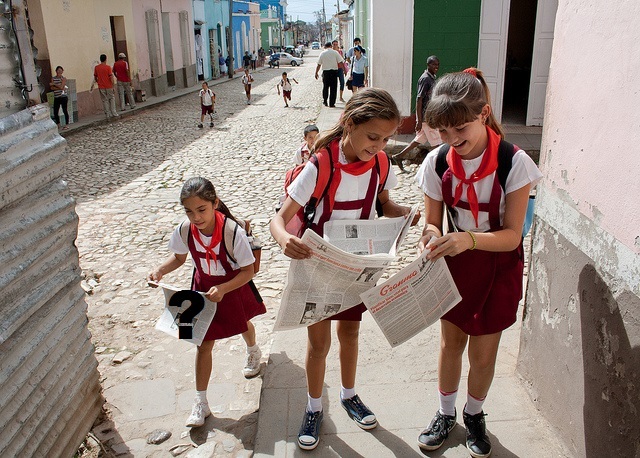 Their audience in Cuba is small, because of low connectivity on the island, but their voices occupy an important part of the spectrum of the country’s new journalism. A new kind of media – individuals who identify as journalists and not as political dissidents – appears likely to have an even greater impact. The most successful of these, OnCuba, is a glossy bimonthly magazine distributed on the daily Miami-Havana charter flights. It runs commercial covers – one recently featured a woman smoking a Cohiba – but also carries articles on sensitive political and economic issues. OnCuba is an extraordinary experiment launched three years ago by Cuban-American businessman Hugo Cancio and employing 12 full-time Cuban journalists in a well-appointed Havana office – all with the necessary Cuban government approvals. The editors say the publication’s only objective (other than paying its bills) is to serve as an intellectual bridge between Cubans in Cuba and Miami, casting a critical eye to both. *John Dinges teaches journalism at Columbia University and is the author, among other titles, of “The Condor Years: How Pinochet and his Allies Brought Terrorism to Three Continents” (The New Press 2004).